Stay in Dalmatia's best hotels! Enjoying a quiet location at a picturesque beach, the 5-star Sun Gardens Dubrovnik member of The Leading Hotels of the World, offers panoramic views of the Adriatic Sea and Elaphiti Islands. Hotel was just great! We were there on the last days before they close it for the winter and although the hotel was almost empty, everything was open and available. In the spa, three ladies were available and there was no problem to book a treatment. The treatments were superb and the spa is one of the best that I've seen in the hotels. Although there were only a few people in the pool, the cleaning lady would come every half an hour to clean the water outside of the pool. All the saunas worked regardless of the few people in the spa. The breakfast was beyond great! The hotel offers very a good service! On rainy days, there was a bucket full of umbrellas standing at the reception, which was a really nice touch. The hotel is around 15 km from the town of Dubrovnik and the free shuttle bus was available to go to the town and back. Located in the Lapad Peninsula, Hotel Dubrovnik Palace offers a beach and a scuba diving center. Our bookings were changed to Hotel Excelsior as Hotel Dubrovnik closed for the winters. Extremely efficient and courteous staff who were always available with sound advice and guidance. Good food and efficient service, both in the restraunt as well as room service. Good location and very close to the old town. Overlooking the sea in the beautiful Lapad Bay, the Kompas hotel can be found near a pebbly beach and the popular promenade, only a 15-minute bus ride from Dubrovnik's Old Town. Everything was awesome. Great breakfast and dinner. Great sea view. Priska Luxury Rooms is set in Split, 984 ft from Diocletian's Palace. All rooms boast a flat-screen TV with satellite channels and a private bathroom. Znjan Beach is 3.1 mi from the hotel. The location perfect walking distance from everything you might though about in Split. Featuring free WiFi, a hot tub and a terrace, Heritage Hotel Life Palace offers accommodations in Šibenik. Guests can enjoy the on-site bar. Beautiful room, staff so helpful with bags. Located in the center of Split, just a 2-minute walk from the UNESCO-protected Diocletian's Palace, Cornaro Hotel offers a rooftop terrace with a hot tub and a bar, as well as free WiFi and a 24-hour... I like the location very much. The staff were friendly and helpful. Set right on the pebbly beach of Žnjan and offering an indoor pool and a restaurant, Hotel Fanat is located 1.9 mi from the historic center of Split. Free WiFi access is available. The very friendly and helpful staff made us feel very welcome from start to finish of holiday. Located on the doorstep of Dubrovnik's Old Town, a UNESCO World Heritage Site, Hilton Imperial Dubrovnik features an indoor pool and a wellness center with saunas, a hammam, fitness and massage... The whole hotel is very beaultiful and staff are very concerned with all guests. Hotel Plaža is situated in the center of Omiš, next to the main town beach. Whether you traveling for business or on vacation, you will find many activities available to you. Located only steps from a pebbly beach in Puntamika, Hotel Niko is a mere 10-minute drive from Zadar's center. Everything was absolutely amazing. Located just 5 minutes’ walk from Dubrovnik’s Old Town, this beachfront 5-star hotel is a local landmark. It offers a luxurious 2789 ft² spa and 3 restaurants. Staff friendly and helpful. Breakfast spread excellent. Featuring a rooftoop outdoor swimming pool and a hot tub, Hotel Scala d'Oro offers air-conditioned accommodations in Vodice. Free WiFi is available and free parking is provided. The hotel has been upgraded and is very nice. Hotel Adria is located in Gruz, 1.6 mi away from Dubrovnik’s Old Town. Most rooms have a balcony with views of the Elafiti Islands and Lapad Bay. Free Wi-Fi and free parking are available. Nice comfort and clean room, with beautiful view. Good parking and wifi free of charge. Featuring a seasonal outdoor pool, 2 restaurants and a wellness center, Hotel Lero is located 0.9 mi from Dubrovnik Old Town and 1312 feet from the nearest beach. Free WiFi is provided in all areas. The breakfast was amazing. The pool was fantastic. The decor- modern. Explore the rich heritage of the ‘Pearl of the Adriatic’ by taking a walk along the Old Town’s ancient wall. 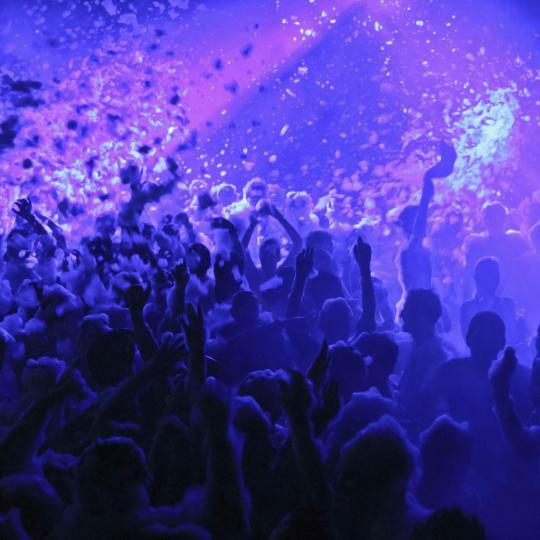 Top DJs and an international crowd fill the clubs in Hvar and Novalja, 2 of Dalmatia’s most notorious party towns. 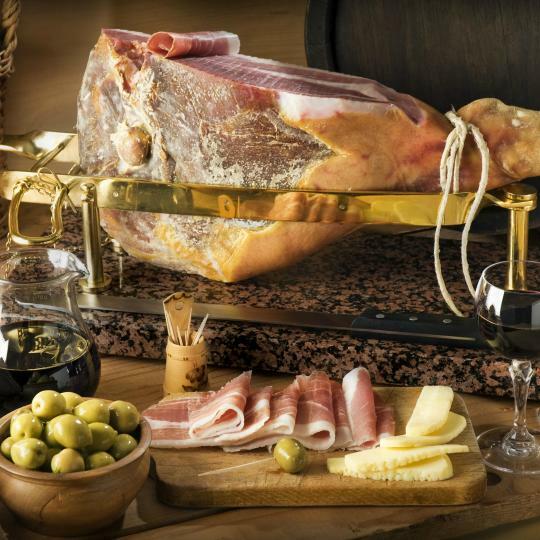 Dalmatian prosciutto, Pag and Brač lamb, Ston oysters or Pag cheese – the region’s wide gastronomic range is hard to match. 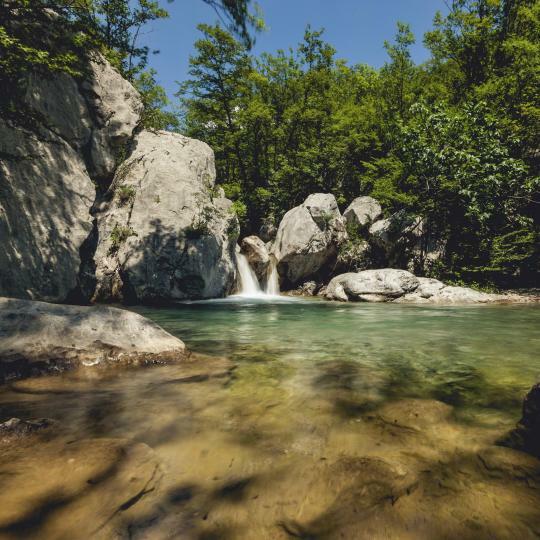 Breath-taking waterfalls, babbling streams and a generous dose of fresh air are guaranteed on a hike through Paklenica National Park. Get your fill of turquoise waters at Zlatni Rat Beach, Biševo’s Blue Grotto, Odysseus Cave and Blue or Red Lake. 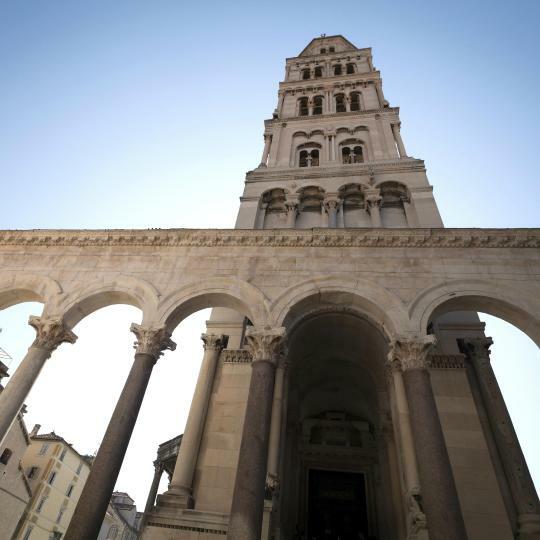 Discover the legacy of the Roman Empire in Split’s UNESCO World Heritage Site, Diocletian’s Palace. A must-see for history enthusiasts! 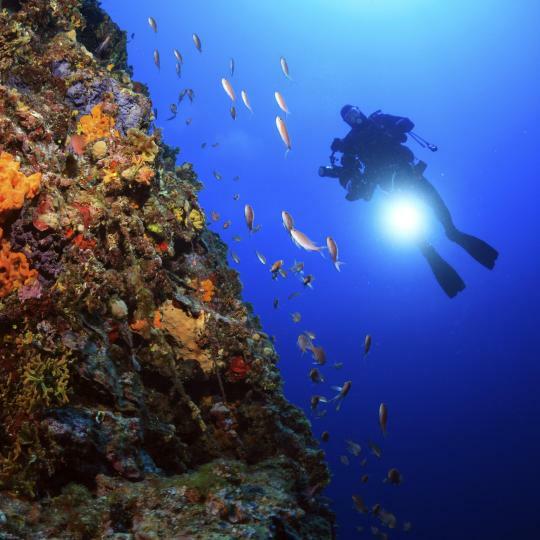 A secret world of shipwrecks, coral reefs and undersea caves awaits you under the sparkling surface of the Adriatic Sea. 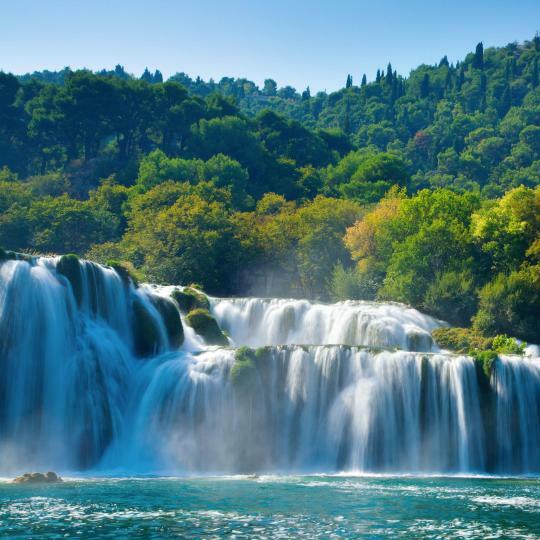 Marvel over the magnificent waterfalls and dazzling scenery before taking a refreshing swim in the unspoilt waters of River Krka. 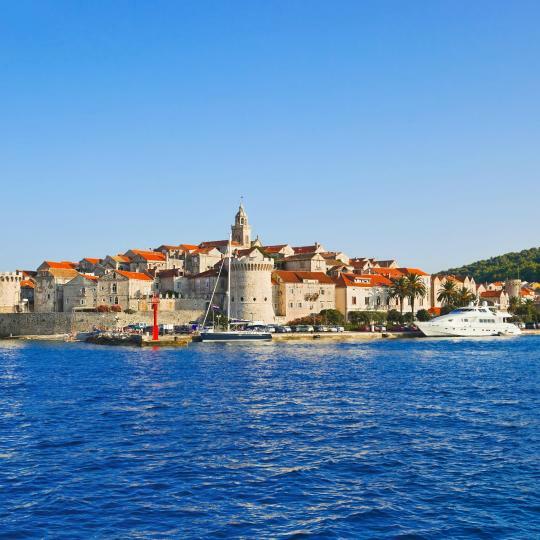 Stroll along medieval stone walls and narrow streets in Dalmatia’s many ancient coastal towns, including Trogir, Korčula and Zadar. Treat yourself to a Dalmatian wine tasting! 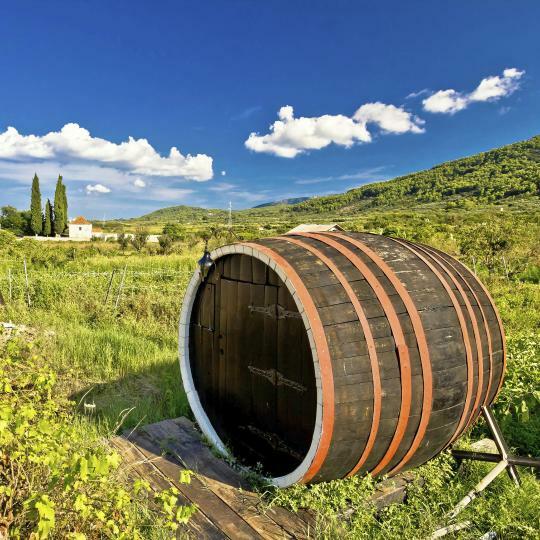 Some of Croatia’s best grapes grow in Pelješac, Hvar and Imotski. One of the most charming and historic places in Europe. Central on the Dalmatian Coast for day trips. Central on the Dalmatian Coast for day trips. Old town is quite nice and all walkable. The people are lovely. The rest of the town is fairly prosaic. Day trips include Islands, inland parks, Sibnnik, or just hang at the beach. Sibenik (English pronunciation she-ben-ICK) has a lovely little old town and the greater city is situated between several points of interest for us. We recommend checking out the Cathedral, and city forts as well as wandering the old city streets for souvenirs. The beach was also well maintained and pleasant between peak use hours. We are pale people, and the sun keeps us in the shade during those peak hours anyway. Parking was a bit tricky to find, particularly in the less expensive hourly places. Keeping in mind we were there in the middle of high tourist season, the beach parking, if you are sticking around for half a day, was a good find. The best meals we found to eat were both on the waterfront. Bounty is a farm to table kind of place, with mid range prices and amazing food. We had bread, mussels, and octopus stew. Service was friendly and prompt. Sesula is a "riba i sendvic" or seafood and sandwich place we stopped at for lunch. We enjoyed one cod and one "Dalmatian" sandwich, and drinks. The atmosphere is very casual and beachside friendly. Great base to explore Dalmatia. Great base to explore Dalmatia. Sibenik old town very nearby, 5 minutes away from big supermarkets. 10-minute drive to Zaboric, which also has a great beach. Another nice half day trip (late afternoon, stay for dinner) is the fortress of Knin, about 1 hour drive. And of course Krka National Park with the Skradinsk Buk waterfall where you can swim at the base of the waterfall. Use the national park entrance at Skradin and then you take a boat ride (included in the entrance fee) to the main waterfall. After the visit to the park, drive to Konoba Vinko restaurant on the D33 from Sibenik to Knin for a lovely local Croatian dinner, try the suckling pig! The beach in front of Nakic apartments (just cross the road, but beware of the busy traffic) is quite nice and suitable for kids. But ensure that you have water shoes as it is a pebble beach with lots of rocks in the water. Dubrovnik is still a great city to visit, but compared to earlier visits it is very crowded, noisy and generally not a good value, compared to other places in Dalmatia, when it comes to eating out. It was annoying to find that a very mediocre restaurant charged a cover charge, not encountered in many other Croatian places. Ordinary tap water was also not available to customers even though it is a common practice elsewhere. Dubrovnik has the best walled city / fortification on the Dalmatian coast - but not the only one. It is horribly crowded and the areas outside the access gates are really congested. We spent part of one day walking the old town and that was plenty. The walls and ruins in Kotor and Split aren't as popular but both places are impressive and much more relaxed. Dubrovnik is not a massive city so it is easy to navigate. Dubrovnik is not a massive city so it is easy to navigate. The usual sites such as the city walls, cable car, Lokrum Island are all worth a visit. The old city itself is beautiful and well worth an explore. The main street Stradun is easily the busiest and therefore most expensive, it's worth an explore down the many side streets for food, drink and atmosphere. There is plenty of varying cuisine and a few options for Dalmatian food. There is a quiet beach called Sveti Jakob if you dont mind the extra 20 min walk. Drinking is fairly expensive so it might be worth a Google to see where locals drink. We found the Buzz bar to be more purse friendly. Souvenirs are a plenty but we found most of the stuff for sale was made in China and not locally produced, which was a bit disappointing. We also did the day trip to Bosnia and Herzegovina and seen the Kravice Waterfalls and Mostar bridge, well worth the visit. Amazing maze of old streets. Amazing maze of old streets. Wish we'd had more time to explore. Great location to catch a cruise to the Dalmatian islands. Super clean and beautiful historic city. Super clean and beautiful historic city. The city is completely different from other cities on the Dalmatian coast. 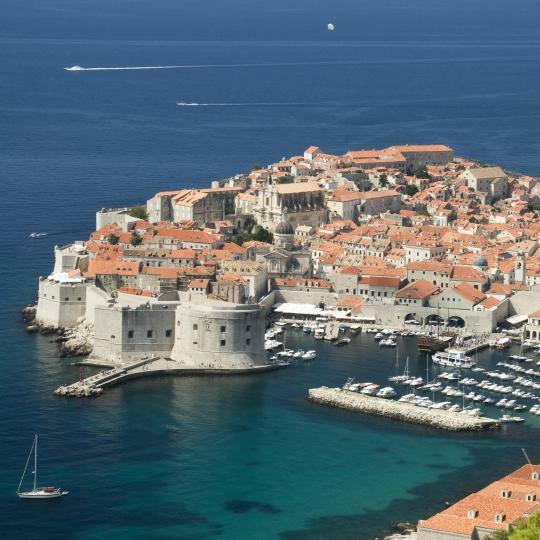 Dubrovnik is slammed with tourists. Would recommend a few days in Dubrovnik and heading up the coast and visiting various islands for a relaxing trip. Nice and friendly hosts, that greeted us with wine. Great location on tiny, pedestrian only dalmatian village street. Our apartment Vici, was on last (3rd) floor, spacious and comfortable enough for 3-4 people, AC and basic kitchen were useful. Best part, awesome terrace to chill on, if you manage to pass tiny staircase that leads to it. Amazing view. Trust me, it's true. Gratuitous bicycles available throughout our stay. Private parking spot, 5 min walk from apartment. Dog friendly. Apartment is very nice. Location is in first row from the sea, offering beautiful views. Close to Šibenik, main roads and supermarkets. Parking on the site. Everything was as described, lots of useful amenities. Wi-fi worked well (TV not so well, weak signal or channels not available). The host was nice, the collection of the keys upon arrival as agreed. He also brought as a gift a delicious plate with some Dalmatian prosciutto, cheese, olives, and fresh bread. Like so many apartments along the Dalmatian Coast, this one is in a recently renovated old stone building on a narrow Korcula Town street. But what makes M&J Central Suites special is the supurb use of space, the inclusion of a washing machine (rare), a fine kitchenette, a roomy bed, the modernity and cleanliness, and the wonderful and charming owner, Jelena Musin. This apartment was the best we experienced in 5 weeks in Croatia. You can not do better. The Hostess was wonderful. She made sure we had all that we needed and knew where to find everything. The room was lovely, with a private bathroom and private balcony. We would have happily stayed longer, but this was just a stopover as we travel along the Dalmatian coast. Onsite parking was a bonus too. Brand new! Very clean, all amenities you could need: Iron, washing machine, stove, toaster, microwave, coffee, kettle, fridge. Niko greeted us with Dalmatian cheese and prosciutto and wine for our stay! Extensive guidebook, and some secret tips for where to go for laying in the sunshine/beach. The location is superb. Away from the crowds of Dubrovnik, right on the beach. The breakfast was good - I guess the 9 am start reflects the laid back nature of Dalmatia. Evening meals were very good and the ambience of the "dining room" is really nice. One of the most wanted views at Dalmatian coast. Settled in centre of Makarska, I was surprised how quit is inside of apartment. The owner is great guy, had a morning coffee at marina with him. Highly recommended place to stay. Wonderful view Adriatic See and Dalmatian Islands. Spacious apartment, very clean, well decorated, well equipped, spacious rooms and bathroom. Beautiful balcony. Very kind and helpful host. Near a great supermarket. It was new, bright, tastefully furnished and very comfortable. The nicest, at the price point, accommodation we found on the Dalmatian coast. Super staff. Awesome fitness room. Above and beyond, Dalmatian specialties as part of the astonishing breakfast offerings. Stuff is so great. Facilities are modern with easy dalmatian touch which make great experience. I liked it so much I cam back for another few days after travelling other parts of Dalmatia. The staff were amazing, extermely polite and helpful (me pregnant with 2 kids, 2 and 3 y old). The room was cleaned daily and all the toys set up and beds and bathroom. The food is freshly made on demand, the sweets are amazing and plenty of fruit and salads. Coffe availlable anytime. We were during winter so there wasn t bikes to rent and no staff in Falkyland playground but that was expected as it is offseason arrangement. We were extremely satesfied really perfect 5 days for a family and mom to relax from cleaning and cooking. The Aquapura spa is veeery nice and luxorious, not enough kids activities or small pools indoors but despite that kids enjoyed in tge big pool. There is a park on the back side of the hotel and one more few minute walk so we always had a great timw with kids. They loved our vacation and we did also! Again, the staff and location are amazing! 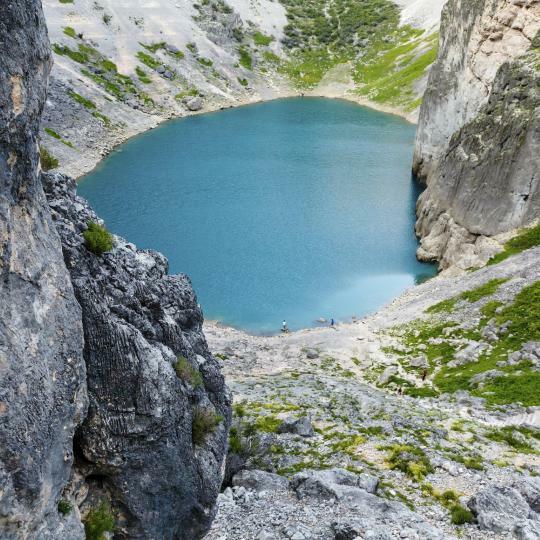 This is among the best ever vacation places for the family. We have been to many places around the world and this is not an overstatement. Everything is focused on kids and their needs but the adults can have their fun too. The food choice in the restaurant is fantastic, great variety for everybody. The staff is super friendly and the kids club personnel is among the best I have ever seen. They can keep kids of all ages fully entertained the whole day and the evening program for kids is very enternainig. Great program in the kids club (free). My kids (5,8 years) loved the kids club so much that they preferred to play there more than in the sea. The beach is so clean and the water is perfect. A lot of amenities to make it fun the whole day. We recommended the place to many of our friends. We will be returning for sure next year. Air Conditioning - Perfect. Beach within 50m - Perfect. Infinity Pool - Perfect. Distance to local town - Perfect. Restaurants nearby - Perfect. Swimming pools at Hotel - Perfect. Friendly reception staff (Nina) - Perfect. Late check outs - Perfect. Breakfasts - Perfect. This is a new Hotel, a beautiful new Hotel. With anything new there are always little things just little tiny things that need rectified. But this is a fantastic Hotel. Potentially one of the World's best in waiting. Looks like it has been designed by the same Architect as the Guggenheim in Bilbao. Except it looks like a Cruise Ship in its design. Its just beautiful.